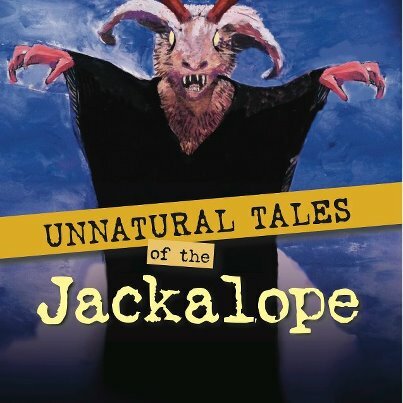 The almost-final covers for the upcoming Unnatural Tales of the Jackalope anthology have been posted to Western Legends Publishing’s Facebook page (at http://www.facebook.com/WesternLegendsPublishing). It’s my understanding this is pretty close to what they will look like; they only, apparently, need a couple of margin adjustments and the ISBN (and clearly, there’s only part of the back cover shown in the photo). Take a look right here! I’m really excited and honored to have been included in such a unique project! The book is due out June 30, so stay tuned! Posted on June 22, 2012, in News, Short Stories and tagged cryptozoology, D.T. 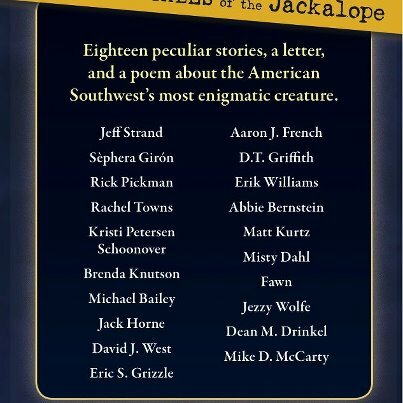 Griffith, Fawn, how to catch a jackalope, Jeff Strand, John Palisano, Unnatural Tales of the Jackalope. Bookmark the permalink. Leave a comment.